Item # 309446 Stash Points: 6,995 (?) This is the number of points you get in The Zumiez Stash for purchasing this item. Stash points are redeemable for exclusive rewards only available to Zumiez Stash members. To redeem your points check out the rewards catalog on thestash.zumiez.com. 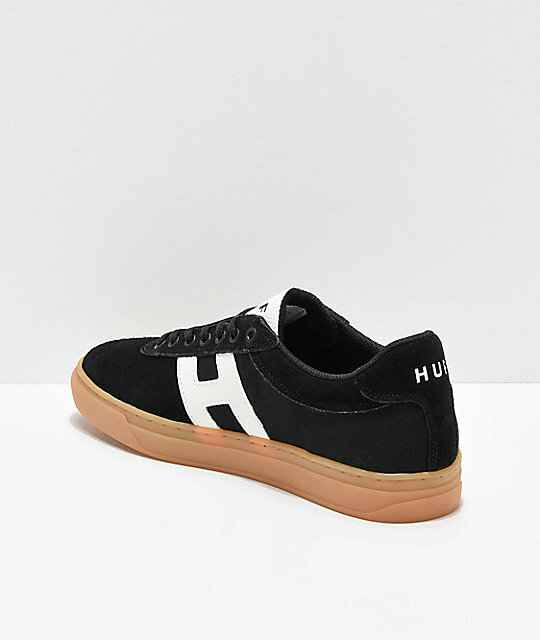 HUF is known for their elegant styling and the Soto Black, White & Gum Skate Shoes are no different. The Soto features a cupsole construction that you'll feel when jumping down big gaps and enduring multiple impacts. 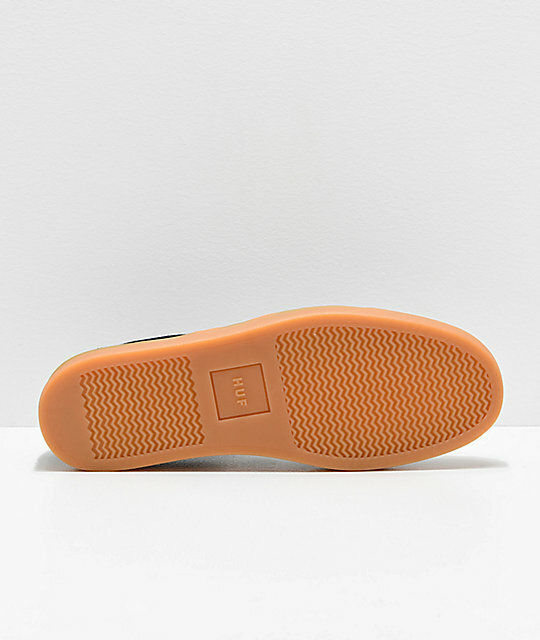 With a gum sole and suede and canvas upper, highlighted by a white perforated leather "H" on the sidewalls, these fashionable and durable skate shoes are an easy choice for skateboarding and casual days alike. 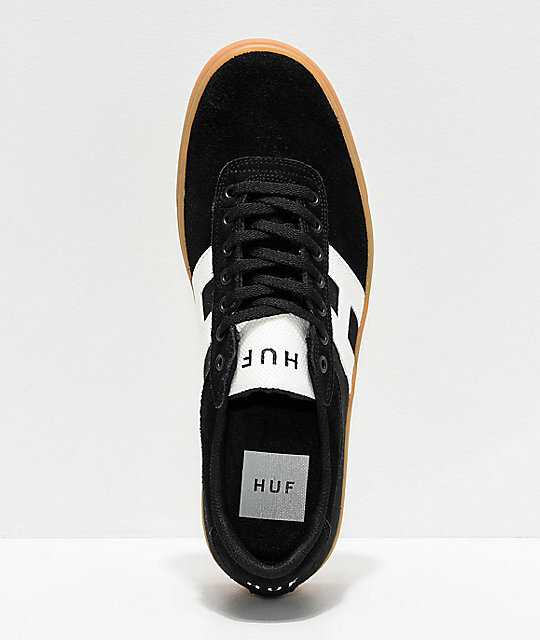 Soto Black, White & Gum Skate Shoes from HUF. 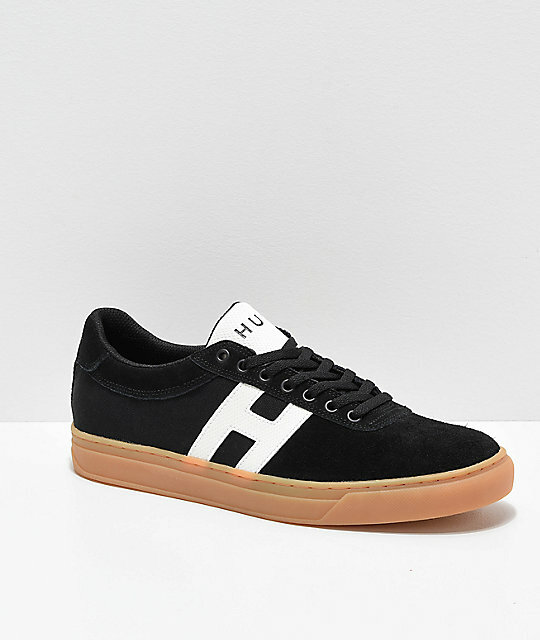 HUF's Infinity Rubber implemented on the outsole for improved grip and durability. Compression molded insole for cushioning. Width: Fits slim around forefoot.